Marks and Spencer have always been my go-to. As those of you who've been reading my blog for a while will know, M&S has long been an absolute favourite of mine. I rely on them alllll the time as they're guaranteed to have something for each and every occasion, from everyday to special events: it's a true high street gem for everywear. And, whilst people throw around the term 'hero pieces,' especially in the industry I work in, like nobodies business it's a sure thing that noone does classic wardrobe staples quite like Marks & Sparks. They're the basis of my everyday looks, staples that take me through all seasons and help me put together anything from daily office options to date night. 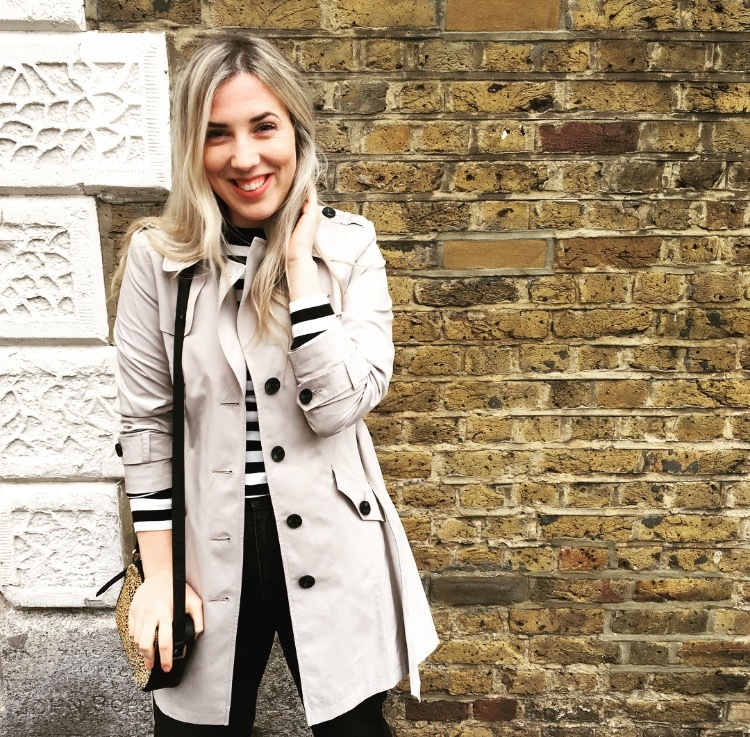 So I thought I'd talk you through three of my favourite pieces from M&S' new season collection so you can see and shop these beloved pieces of mine before they're out of stock. Everywear, for every day and every occasion. The quintessential spring coat, a classic trench will get you through these weird months when the weather's not quite sure what it's doing. Light-weight and super easy to wear it's my go-to option when the skies are looking a little treacherous and the sun's being a little sporadic. With a tonne of options both instore and online, there's something for everyone's tastes. From macs complete with Stormwear tech (to ensure that you won't get drenched when you are, eventually, caught out by the weather), big buckles and standout details preventing your mac from ever looking a little meh. I can actually remember walking into town when I was in sixth form and seeing skinny jeans on mannequins and loling. Before wearing them the very next week and dating boys in the skinniest jeans from then on out (up to Tyler, you won't ever catch him in them...) It's been yearrrrrs and years now and the skinny jean is still going stronger than ever. If you ask me, its unwavering popularity is down to they're versatility. You can pair a skinny jean with literally anything. Anything at all, especially a classic black skinny jean. You can throw a great pair with anything from a grey tee to a white shirt, or simply with a camisole and cardy. Although my favourite skinny jean combo will always be a Breton and a trench coat. A great pair will take you from desk-to-dinner, and literally from weekend walks to airport runs and road trips. 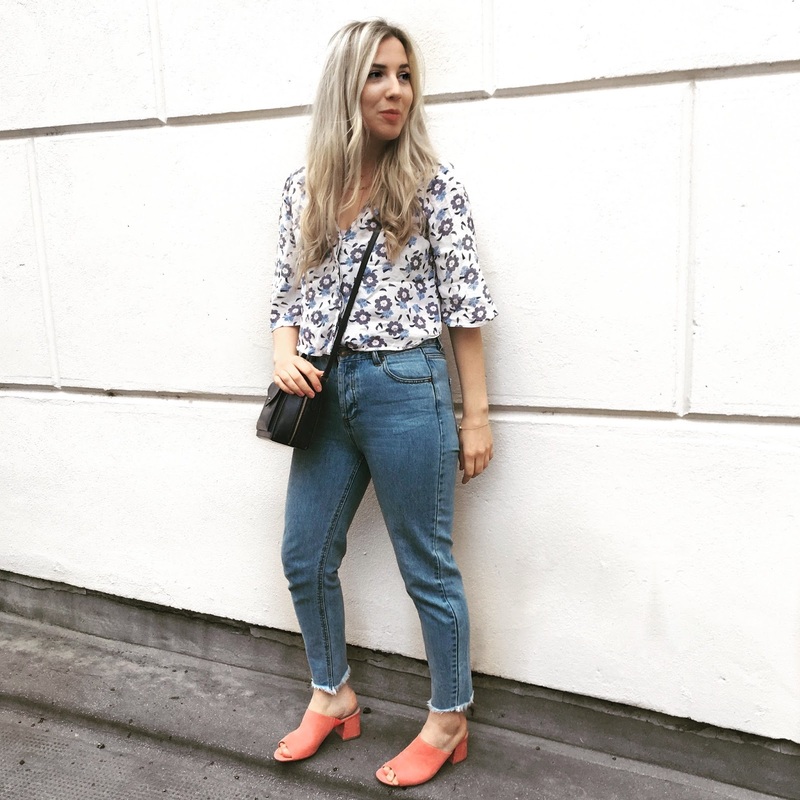 I think a skinny jean should be flattering, form-fitting (obvs) and help you get through getting dressed and out in the morning with ease and confidence. Say hiiiii to my favourite shoe, the mule. I love them. Especially pink pairs. Mules are the ultimate summer shoe. They shout summer, celebrate summer and, when you're wearing them they give you the feeling of summer - even when it's (admittedly) not feeling too summery. Whilst blush pink is the shade of the summer, M&S also have three lovely colourways available this season each with their dreamy Insolia technology. Making them a fashion forward, yet comfortable desk-to-dinner option. I'll be wearing mine with raw-hem jeans for now, switching to tunic dresses and skirts when it warms up that little bit more.